Nikko Edo-mura is a popular theme park opened in 1968 about the culture and lifestyle in Edo Period. It is located about 9 km northeast of central Nikko city. This theme park is set in mid-Edo Period from the 1680s to the 1730s. In the period Japan was stable political and social conditions, then urban culture developed. 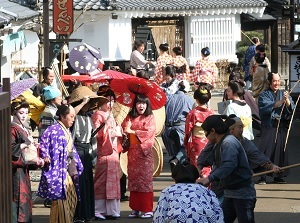 A town of the time in Edo (current Tokyo) are recreated, and there are various attractions. There are some theaters, and the dramas of samurai or ninja, the shows of traditional culture, and the other shows are performed. 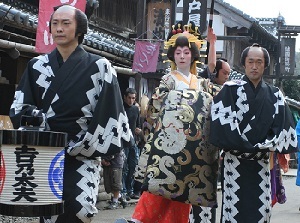 All staffs wear the ancient cloths, the topknot (male) and Japanese hairstyle (female). We can enjoy the ancient Japan here. By route bus, about 22 minutes from Kinugawa-onsen station. About 10 km from Imaichi Exit.